If you use the Avada WordPress Theme, you might be interested to know how you can improve the Avada SEO. 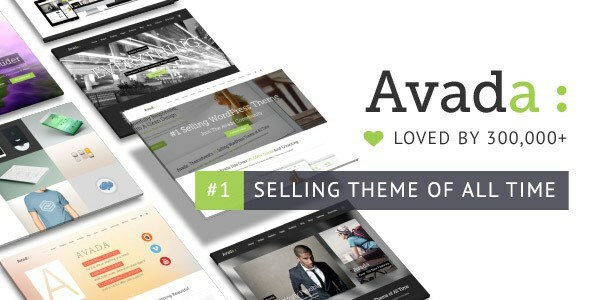 Avada is the best selling WordPress Theme on Envato, selling over 300,000 times and generating revenues in the millions of dollars. After using it for six months, I've found a couple of ways to improve the on-page SEO and boost rankings in SERPs. How to improve Avada SEO? Search Engine Optimisation, or SEO, is the process of making your page as relevant as possible to search engines such as Google, Bing and Yahoo in order for them to list your page. The better SEO you have, the higher your pages will rank in these search engines, which in turn means more traffic to your site. Using a WordPress Theme such as Avada means you get a working website within minutes. But to improve SEO there are a number of techniques you can use that will help get your site onto the search engine rankings. Some of these techniques involve modifying the theme code of Avada- but don't worry, it's nothing too drastic. You will just need some kind of text editor to modify the files. Heading tags are some of the most important tags you can use for on-page SEO. It is recommended to always wrap your page title in H1 tags and your sub-headings in H2 tags. This is where google looks for your main keywords and determines the relevancy of your page. Unfortunately, on most of the demos/themes that come with Avada they use H2 tags as their main heading titles. In order to change this, we need to dive into the theme code and modify it. Luckily, it's super simple to do. Now your titles will output in H1. You may find that your styling of titles changes when you do this. This is because the CSS that Avada builds is based around using H2 tags, so you will have to either copy the H2 CSS or add your own H1 CSS. You can do this in the Avada Custom CSS area. This tip isn't specifically designed for just Avada WordPress Theme, but for all WordPress sites! There are a number of SEO Plugins that you can install on your WordPress site that help improve your SEO automatically for you. These plugins will help maintain SEO metrics such as handling meta tags, keyword density, title page length and the general formatting of your posts. These tips will help make your posts much more appealing to search engines when they visit your page, giving you more ranking power. I'm going to suggest to use the Yoast SEO Plugin. While Avada is pretty good for SEO on it's own, with the Yoast SEO plugin powering it, it becomes a powerhouse for ranking on google. I have been using this plugin for many years now and it comes with a plethora of features that will help improve your WordPress site. The best part of Yoast SEO is the fact it will improve your own WordPress writing skills. Writing on a blog as a hobby versus writing on a blog for SEO are two very different writing techniques. With Yoast SEO, it will review your post as you are writing it, giving you tips and techniques to improve the formatting of the writing and making sure you are getting the most out of your page's content. Yoast SEO also helps generate XML Sitemaps, which are beneficial for getting search engines such as Google, Yahoo and Bing to index your site's content. It gives you the options of removing certain pages and also includes the indexing of images too. Yoast Seo Plugin is free to use on your Avada Theme, but there is also a Premium version that you may want to consider in the future. The Premium version offers extra features and one-to-one support for your SEO. I don't recommend buying it if you are just starting out as the free version offers you more than enough options. Other SEO plugins that are good alternatives are All in One SEO Plugin. This plugin is very close to Yoast in terms of feature availability and I definitely wouldn't bemoan you using this instead. I just prefer Yoast's user interface and on-page SEO analysis better. All In One SEO plugin also comes with a Premium option to upgrade to, unlocking some of the more in-depth features it has to offer. This post isn't a SEO plugin comparison so choosing either one will work well for your Avada WordPress Theme. One of the ranking factors that Google uses to determine SERPs is page speed. How fast a page loads is important not just to Google, but also to your users. In an age where we are used to getting everything instantaneously, having to wait even 5 seconds for your WordPress site to load can be insufferable for some users. Avada does come with a lot of demos and theme options. They include elements like sliders, image galleries, portfolios, media pop-ups, scrolling effects and more. 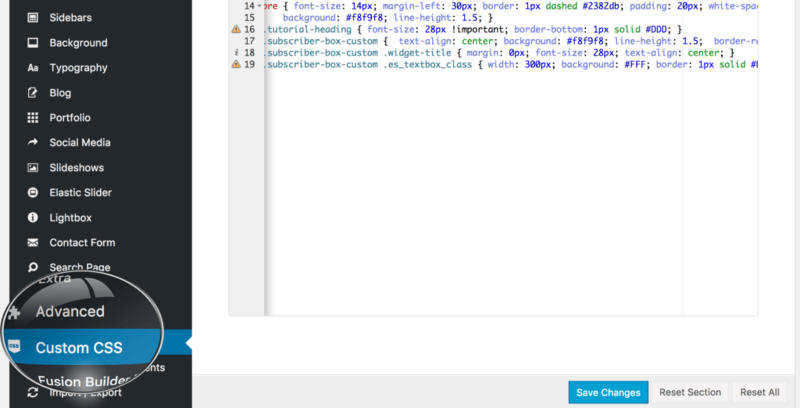 When combining these elements into a single page, the page speed can be hit quite hard. This is a problem for our SEO. Although having a pretty slider can entice first-time viewers, it can also turn away repeating ones. Loading a welcome video each time someone hits your page also can have a significant impact on your page's loading time. Using this tool can really help you understand how Google see's your site from a search engine perspective. Finding a balance between fancy webpages and smooth lightning-quick loading webpages is one of the hardest parts of SEO. You can find more tips on improving page speed using Moz's PageSpeed guide. It explains in-depth the different page elements that can effect the speed of your page and the impact it has on Google search rankings. Check out the video below to learn more about PageSpeed from Google. Another tip for improving PageSpeed is to use something called Page Caching. A WordPress site is built using PHP, so each time your WordPress site is loaded, it is rendered by your site's PHP compiler, making queries to your database and doing lots of intensive work behind the scenes to present you with your WordPress page. However for most sites, the page content doesn't change. The content is mostly static, so having it processed over and over again is a waste of resources and very slow. This is where Page Caching comes in. Using a free WordPress Plugin like WP Super Cache, pages are rendered only once every couple of hours (or however long you specify) and a simple HTML static version of the page is served. It still contains all your content, only the data isn't live so it doesn't have to be processed by the PHP parser or query the database. This results in lightning fast pages being loaded since no processing has to be done. Each page will have it's own timestamp loaded onto it, so the plugin knows when it becomes outdated. Once that happens, the page is then rendered like normal (and updated) and then cached again. This means you're saving lots of internal resources and making your site super fast. As mentioned, you can implement this functionality into Avada using a plugin like WP Super Cache. It doesn't take much to setup, even for beginners, and you can have your own advanced caching system setup within minutes. You can use Google's PageSpeed ranking tool to see the difference with caching enabled and caching disabled. Leave security holes making your site vulnerable. Break areas of your site, which is bad for SEO. Cause user unsatisfaction, making them spend less time on your site. Avada's recent update to version 5.0 includes a new in-built patching service. This feature provides hotfixes to the theme, such as if there is an issue with the Portfolio meta tags or they need to update the structure of their page builder. All you have to do to apply these hotfixes is simply click a button and it will update the theme. Leaving them unfixed, however, can be bad for SEO. When a search engine takes a look at your page, it anaylses the validity of your page's HTML. If it finds broken tags, broken links or missing tags, it will count against you when ranking against other sites. Avada is normally very good with getting out fixes to users with a fast-response rate. You just have to remember to check your WordPress Dashboard and keep everything up to date. It can be a pain, but it's well worth it in the end. The same goes for your WordPress Plugins too. 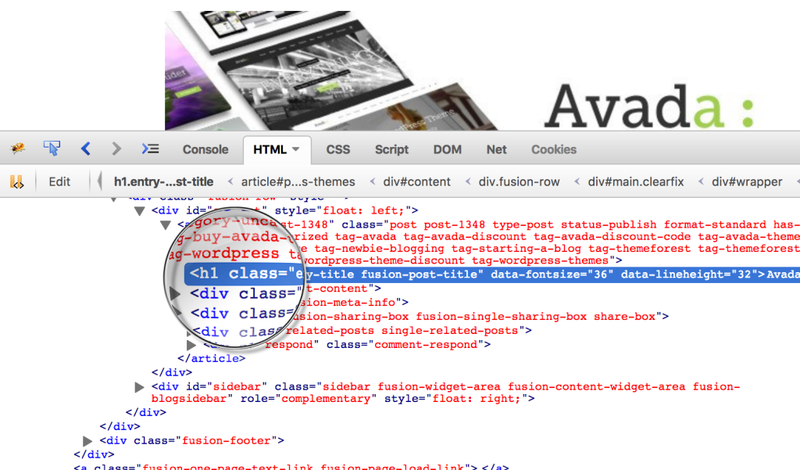 Keeping them up to date is just as important as their functionality can cause issues with your Avada WordPress Theme. A good plugin to have is Wordfence Security. This plugin will send you daily email reminders about plugins/themes that need to be updated. It also has lots of other security features that can safeguard your site from attackers, spam and potential problems with your site. This tip isn't very well known, but search engines don't just read the text in a post, but they also look at the names of the images in your posts too. 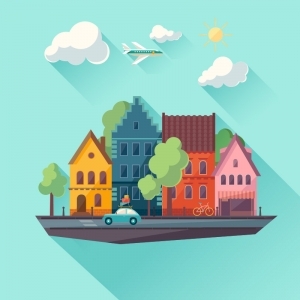 Naming your images with SEO relevant keywords can help boost your rankings in search engines. It can even help to get your content listed in Google Images, which can be another source of traffic for your site. When using the Media Manager in WordPress, it gives you the option of adding Image Title and Alt attributes. These are what search engines look at when visiting your page to make sense of images. Make sure the text you put in these fields is relevant to your post and accurately describes your post's content. If you try and stuff too many keywords into images, it can have a negative effect on SEO. Finally you may want to look under the hood of the Avada Theme files and change some of the HTML tags, links, images and other elements to improve your SEO. You can do so by looking in your wp-content/themes/Avada/ folder. All these files relate to how your theme is presented to users. Making changes to these files can cause some conflict issues however, so before you begin, make sure you know what you're doing. You may have trouble updating the theme in the future if you make custom changes. So what other ways can you improve SEO by directly modifying the Avada theme files? Prevent duplicate content by adding canonical links. Add nofollow links to pages you don't want to pass link-juice to. These are just some of the benefits of being able to modify the code directly. Of course, this isn't for everyone as it requires knowledge of the WordPress API, PHP and HTML. Having lots of broken links on your site can have a negative impact on your SEO and user experience. When you install a demo for Avada, it generates lots of different demo "posts" and "pages" automatically. Most of these you won't need- they're just for demo purposes. Deleting them is fine, however, there can be traces of these broken posts and pages left in your site's structure. You can find them using special WordPress Plugins or the Google Webmaster Tools. To use Google Webmaster Tools, you need to signup and add your own website. It can take a day or two to get verified, but once done you can navigate to your site's search console. Under the Crawl tab, you can find any missing pages on your site listed under Crawl Errors. On this page, it will list all of the pages that it found to have 404 errors returned by them. Your next job is to hunt these pages down on your site and remove the links linking to them. There are some plugins that can help find missing/broken links on your site. One of these plugins is called the Broken Link Checker; it scans all your posts, pages, custom fields, comments etc for broken links. It can take a while for it the process, but once done it will provide you with a report of all the links and where to find them. There is no doubt that Avada is one of the most powerful WordPress Themes out there. The fact that it's sold over 300,000 copies is a true testament to it's customer satisfaction level. With the changes listed above, it can also be great for ranking in google with. SEO is an expensive game, so doing little bits of it yourself can save you a lot of money in the future (and even earn you money!). You can purchase Avada WordPress Theme on ThemeForest. If you're on a tight budget, be on the lookout for an Avada discount that can reduce the price drastically. They've already had one discount this year! If you have any tips for improving the SEO on the Avada WordPress Theme, feel free to post them below for others! Looks like a super clean theme to me. Love it, and I dig your blog too. I found you via the Reddit blogging thread. Keep up the good work! Thanks Ryan! You have a very interesting blog too; seems like you've been doing it a while! Thanks for your post , our website make by Avada theme , already change H2 to H1 according your introduce , thanks for you share , very good content to learn SEO to improve the traffic of our website . I just tried to change H2 to H1 but unfortunately nothing happened :(. When I check the folder 'single.php', the change is there, but when I check the website, the titles are still H2. Interesting is that I saw this instructions on other websites, but none of them mention that this code appears more than one time. For me it appears in lines 36 and 111, as below. I changed both lines, is that right? Do you have an idea of what's going on? Thanks in advance. I'm optimizing an Avada site for seo and the owners make use the gallery module which looks great but does not make use of the image alt tags which are essential for SEO. Does anyone know of an SEO friendly alternative? Thanks for this. I wasn't planning to look for a new theme at this point but the promised Gutenberg compatibility issues aren't getting fixed with my current one. My top priority is that it performs as well (or better) than the current one for SEO and off course is beautiful and use friendly for our readers. This article and the level of detail on exactly what needs to be done if I go ahead with Aveda is so helpful. Thank you. I had the same problem. Took me ages but I finally realised it was because I was editing the file in the main theme when I should have been editing the one in the CHILD THEME! I’ve used the Abada theme on dozens of sites. I love it. Unfortunately, it doesn’t seem compatible with Yoast! When I install Yoast on any avada site, it fails to work properly. Only way to fix is take off Yoast. Have YOU actually used the 2 together?